"On October 14 at Barclays Center, three world champions will be defending their belts, on SHOWTIME, in a night of tremendous super welterweight action," said Lou DiBella, President of DiBella Entertainment. 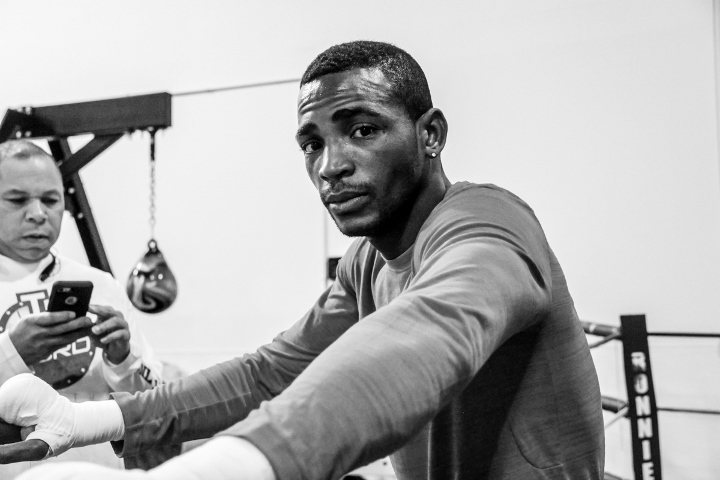 "Long reigning Cuban Erislandy Lara takes on undefeated Olympian Terrell Gausha and newly crowned Jarrett Hurd faces respected former world champion Austin Trout. This card also features one of the best matchups that can be made between two undefeated fighters, champion Jermell Charlo and young sensation Erickson Lubin." The 29-year-old Gausha, of Cleveland, Ohio, earned a shot at the world title with solid victories in his last two matches. He won a hard-fought decision over Steven Martinez last August and followed it up with another impressive victory over Luis Hernandez on Feb. 10. Lara figures to be his toughest battle in his pro career that dates back to 2012. Charlo of Houston, Texas will be making the second defense of his title, which he won by knockout victory over John Jackson on May 21, 2016. The 27-year-old Charlo successfully defended the title with a highlight reel knockout victory over fellow Texan Charles Hatley on April 22 at Barclays Center. He and his twin brother, Jermall, both held world titles at 154-pounds, before Jermall relinquished his title to move up to 160 pounds. Charlo now trains in Dallas with Derrick James, trainer of world champion Errol Spence Jr.
Lubin, 21, is nicknamed “The Hammer’’ because of his power in both hands and his ability to bring a quick conclusion to every match. Lubin of Orlando, Fla., has picked up 10 victories since the beginning of 2015 including seven knockouts on his way to contender status. Lubin most recently scored a sensational knockout of Jorge Cota in a title eliminator in March at Barclays Center. Hurd, 26, will be making the first defense of the title that he won with a KO victory over Tony Harrison on Feb. 25. Fighting out of Accokeek, Maryland, Hurd soared up the rankings with stoppage victories over previously unbeaten fighters Frank Galarza and Oscar Molina at Barclays Center plus veteran Jo Jo Dan. Lubin's for real. I'm impressed with Jermell for taking this challenge. [QUOTE=genrick;17999848]T[B]he Charlo brothers must be green with envy[/B] at this Cuban getting overpaid fighting Foreman-level opponents. He even headlines fights! Kills me. [/QUOTE] Especially since they are both getting "low" six figure purses (250K ish) lately. [QUOTE=Thetruthiserrol;17999745]Why the hell is the worst fight, Lara-Gausha headlining? [/QUOTE] Because practically outside Broner and heavyweight fights, Lara gets the best ratings for Showtime. Charlo's fight will get ratings boost because of Lara headlining.